Zandile Nzalo is the Founder & CEO of Zanenza, a consultancy which exists to empower clients, entrepreneurs and stakeholders with sustainable growth. Established in August 2002, Zanenza specializes in strategic communications, enterprise development, public relations, event management & décor hire as well as fund raising. With over 20 years’ experience in media, Zandile has worked as producer and presenter for several broadcasters including, SABC Radio & TV, Radio Bop, Bop TV, 702 Talk Radio and Mnet. Nzalo is also the founder of FindYoFayah, a youth enterprise and skills development programme aimed at empowering youth with training and entrepreneurial skills. Together with PWC, Zanenza runs Tshepo 500 000, a Gauteng Provincial programme aimed at harnessing economic participation of unskilled youths within the Tshwane region, Gauteng South Africa. Some of Zandile’s past business portfolios include, General Manager of Channel O – DStv, Media Director for loveLife, CEO for the Association for Communications & Advertising as well as Acting CEO Indalo Yethu Trust. 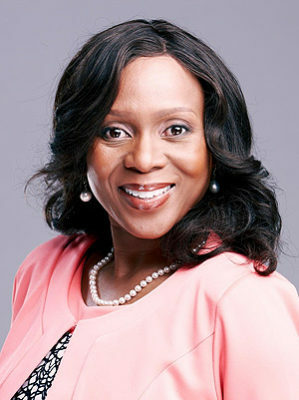 Winner of Top Emerging Female Entrepreneur; Top Women in Business & Government Awards 2004, Nzalo has served on several boards including, the Council of the University of Johannesburg, Gauteng Film Commission, Bokamoso Investment Trust and Indalo Yethu Trust amongst others. A sought after motivational speaker, Zandile is a Fellow of The African Leadership Initiative (ALI) and Aspen Global Leadership Network.